This is an eastlake style chair that I have had kicking around the studio for awhile. I just couldn't figure out what I wanted to do with it. The style is rather ornate to begin with so I thought why not? I used Rustoleum Metallic paint to add some colour and reupholstered! I am still hangin' in here. I just haven't posted in awhile. 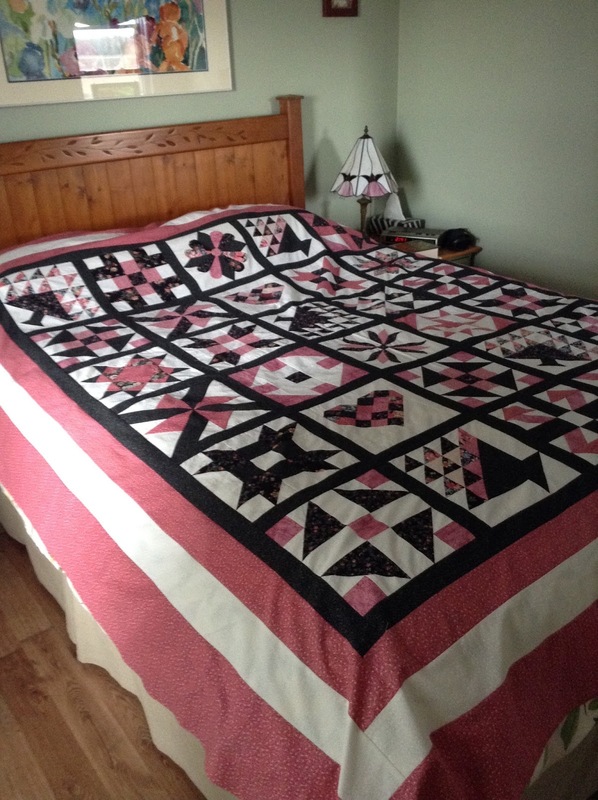 I have been busy quilting....this one is not quilted yet and I want to add applique to the white boarder; black vines with pink "dot" flowers. This quilt was started over 60 years ago by my Aunt Effie. 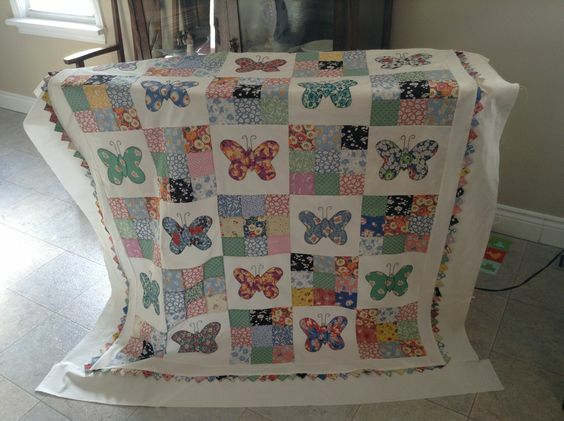 Dear Aunt Effie cut out the butterflies and appliqued them onto off white cotton. Over the years the cotton had yellowed, so I removed the butterflies and appliqued them onto new cotton. I purchased reproduction fabric and added the 9 patch blocks. I think that the butterflies are from old flour sack material and are very delicate. I ironed them onto backing for strength. The prairie points just give it a cute factor. This will be a hand quilting project next winter. Winter pillows made from an old wool blanket, a kilt and two wool coats. Everything was recycled! 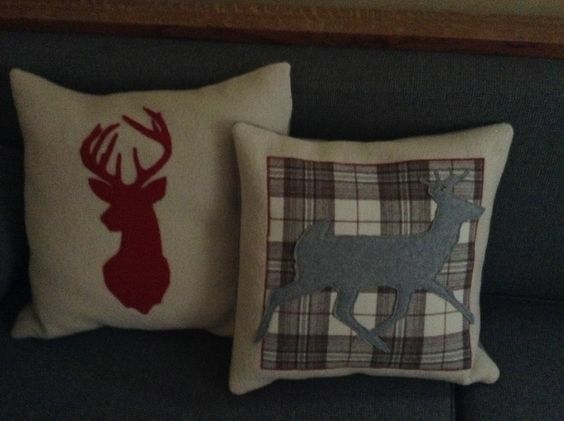 I just stuffed my summer pillows inside! My friends got together, and we all made some. I did refinish this solid oak buffet over the winter. I just love this piece. It is sturdy, stylish and will last forever. If the "all wood" look comes back, it will be well worth stripping and refinishing back to the original oak. A quality piece.